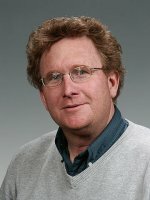 Tom Autrey is a Staff Scientist in the Physical and Computational Sciences Directorate at the Pacific Northwest National Laboratory. Dr. Autrey's current research interests are focused on materials and approaches to hydrogen storage for small power and on-board fuel cell applications. He is a PI on the DOE Office of Science Hydrogen Fuel Initiative, Control of Hydrogen Release and Uptake in Condensed Phases, and a CoPI on the DOE Office of Energy Efficiency and Renewable Energy's Hydrogen Storage Center of Excellence. He serves on the Lujan Center Neutron review committee at LANSCE, the Advisory Board for the Hydrocarbon Resources Gordon Research Conference and is a panel expert on the International Energy Agency (IEA) task on Hydrogen Storage. Chua Y., Y. Chua, G. Wu, Z. Xiong, Z. Xiong, A.J. Karkamkar, and J. Guo, et al. 2010. "Synthesis, Structure and Dehydrogenation of Magnesium Amidoborane Monoammoniate." Chemical Communications 46, no. 31:5752-5754. PNNL-SA-74419. He T., J. Wang, G. Wu, H. Kim, T.E. Proffen, A. Wu, and W. Li, et al. 2010. "Growth of Crystalline Polyaminoborane through Catalytic Dehydrogenation of Ammonia Borane on FeB Nanoalloy." Chemistry - A European Journal 16, no. 43:12814-12817. PNNL-SA-75489. Kim H., A.J. Karkamkar, T. Autrey, P. Chupas, and T.E. Proffen. 2010. "Storing Hydrogen." In APs Science 2009, ANL-10/06. 48-49. Argonne, Illinois:Argonnen National Laboratory. PNNL-19252. Li J., S.M. Kathmann, H. Hu, G.K. Schenter, T. Autrey, and M.S. Gutowski. 2010. "Theoretical Investigations on the Formation and Dehydrogenation Reaction Pathways of H(NH2BH2)nH (n=1-4) Oligomers: Importance of Dihydrogen Interactions (DHI)." Inorganic Chemistry 49, no. 17:7710-7720. PNNL-SA-71128. Luedtke A.T., and T. Autrey. 2010. "Hydrogen Release Studies of Alkali Metal Amidoboranes." Inorganic Chemistry 49, no. 8:3905-3910. PNNL-SA-71061. Palumbo O., O. Palumbo, A. Paolone, P. Rispoli, R. Cantelli, and T. Autrey. 2010. "Decomposition of NH3BH3 at sub-ambient pressures: A combined thermogravimetry-differential thermal analysis-mass spectrometry study." Journal of Power Sources 195, no. 6:1615-1618. PNNL-SA-67754. Paolone A., O. Palumbo, O. Palumbo, P. Rispoli, R. Cantelli, and T. Autrey. 2010. "An Investigation of the Structural Phase Transition of Ammonia Borane." Materials Science and Engineering. A. Structural Materials: Properties, Microstructure and Processing 521-22. PNNL-SA-69079. Kim H., A.J. Karkamkar, T. Autrey, P. Chupas, and T.E. Proffen. 2009. "Determination of structure and phase transition of light element nanocomposites in mesoporous silica: case study of NH3BH3 in MCM-41." Journal of the American Chemical Society 131, no. 38:13749-13755. PNNL-SA-67171. Paolone A., O. Palumbo, O. Palumbo, P. Rispoli, R. Cantelli, and T. Autrey. 2009. "Hydrogen dynamics and characterization of the tetragonal-to-orthorhombic phase transformation in ammonia borane." Journal of Physical Chemistry C 113, no. 14:5872-5878. PNNL-SA-63777. Paolone A., O. Palumbo, O. Palumbo, P. Rispoli, R. Cantelli, T. Autrey, and A.J. Karkamkar. 2009. "Absence of the structural phase transition in ammonia borane dispersed in mesoporous silica: evidence of novel thermodynamic properties." Journal of Physical Chemistry C 113, no. 24:10319-10321. PNNL-SA-65668. Wang L.Q., A.J. Karkamkar, T. Autrey, and G.J. Exarhos. 2009. "Hyperpolarized Xe-129 NMR Investigation of Ammonia Borane in Mesoporous Silica." Journal of Physical Chemistry C 113, no. 16:6485-6490. PNNL-SA-63693. Wang S., W. Mao, and T. Autrey. 2009. "Bonding in Boranes and Their Interaction with Molecular Hydrogen at Extreme Conditions." Journal of Chemical Physics 131, no. 14:Art. No. 144508. PNNL-SA-69313. Heldebrant D.J., A.J. Karkamkar, J.C. Linehan, and T. Autrey. 2008. "Synthesis of Ammonia Borane for Hydrogen Storage Applications." Energy & Environmental Science 1, no. 1:156-160. PNNL-SA-61234. Fulton J.L., J.C. Linehan, T. Autrey, M. Balasubramanian, Y. Chen, and N.K. Szymczak. 2007. "When is a Nanoparticle a Cluster? An Operando EXAFS Study of Amine Borane Dehydrocoupling by Rh4-6 Clusters." Journal of the American Chemical Society 129, no. 39:11936-11949. PNNL-SA-55184. Heldebrant D.J., J.C. Linehan, D.M. Camaioni, S.D. Rassat, F. Zheng, and T. Autrey. 2007. "EFFECT OF ADDITIVES ON THE THERMOLYSIS OF AMMONIA BORANE." In 234th American Chemical Society Conference Proceedings - Reprints of Symposia - Division of Fuel Chemistry., 52, 563-564. Washington Dc:American Chemical Society. PNNL-SA-55182. Karkamkar A.J., C.L. Aardahl, and T. Autrey. 2007. "Recent Developments on Hydrogen Release from Ammonia Borane." Material Matters 2, no. 2:6-9. PNNL-SA-53833. Brown C., T. Jacques, N.J. Hess, L.L. Daemen, E. Mamontov, J.C. Linehan, and A.C. Stowe, et al. 2006. "Dynamics of Ammonia Borane Using Neutron Scattering." Physica B Condensed Matter 385, no. Pt.1:266-268. PNNL-SA-49618. Rassat S.D., R.S. Smith, C.L. Aardahl, T. Autrey, A.A. Chin, J.W. Magee, and G.R. VanSciver, et al. 2006. "Thermal Stability and Hydrogen Release Kinetics of Ammonia Borane Under Vehicle Storage Conditions." In The 232nd American Chemical Society National Meeting, Division of Fuel Chemistry, September 10-14, 2006, San Francisco, California, 51, 517-519. Washington Dc:American Chemical Society. PNNL-SA-50037. Linehan J.C., T. Autrey, J.L. Fulton, Y. Chen, and M. Balasubramanian. 2005. "Catalysis for Hydrogen Storage." In Abstracts of Papers of the American Chemical Society: 230th National Meeting of the American Chemical Society, 230, U1651. Washington Dc:American Chemical Society. PNNL-SA-45455. Autrey T., A.K. Brown, D.M. Camaioni, M. Dupuis, N.S. Foster, and A.D. Getty. 2004. "Thermochemistry of Aqueous Hydroxyl Radical from Advances in Photoacoustic Calorimetry and ab Initio Continum Solvation Theory." Journal of the American Chemical Society 126, no. 12:3680-3681. PNNL-SA-40655. Autrey T., S.V. Egerev, N.S. Foster, A. Fokin, and O. Ovchinnikov. 2003. "Counting Particles by Means of Optoacoustics: Potential Limits in Real Solutions." Review of Scientific Instruments 74, no. 1, part 2:628-631. PNNL-SA-35790. Pritchina E.A., N. Gritsan, A. Maltsev, T. Bally, T. Autrey, Y. Liu, and Y. Wang, et al. 2003. "Matrix isolation, time-resolved IR, and computational study of the photochemistry of benzoyl azide." Physical Chemistry Chemical Physics. PCCP 5, no. 6:1010-1018. PNNL-SA-43061. Kandanarachchi P.H., T. Autrey, and J.A. Franz. 2002. "Model Compound Studies of the Beta-O-4 Linkage in Lignin: Absolute Rate Expressions for Beta-Scission of Phenoxyl Radical from 1-Phenyl-2-phenoxyethanol-1-yl Radical." Journal of Organic Chemistry 67, no. 23:7937-7945. PNNL-SA-35970. Autrey T., D.M. Camaioni, P.H. Kandanarachchi, and J.A. Franz. 2001. "Comparison of Diffusion Coefficients of Aryl Carbonyls and Aryl Alcohols in Hydroxylic Solvents. Evidence that the Diffusion of Ketyl Radicals in Hydrogen-Bonding Solvents is Not Anomalous?." Journal of Physical Chemistry A 105, no. 24:5948-5953. PNNL-SA-33375. Autrey T., N.S. Foster, D.F. Hopkins, and J.M. Price. 2001. "Tunable Ultraviolet Visible Photoacoustic Detection - Analysis of the Sensitivity and Selectivity Provided by a Xenon Flash Lamp." Analytica Chimica Acta 434, no. 2:217-222. PNNL-SA-33807. Camaioni D.M., and T. Autrey. 2001. "Thermochemical Kinetic Analysis of Mechanism for Thermal Oxidation of Organic Complexants in High-Level Wastes." In Nuclear Site Remediation: First Accomplishments of the Environmental Management Science Program, ACS Symposium Series 778, edited by P. Gary Weller and William R. Heineman, 299-313. Washington, District Of Columbia:American Chemical Society. PNNL-SA-32517. Foster N.S., J.E. Amonette, T. Autrey, and J.T. Ho. 2001. "Detection of Trace Levels of Water in Oil by Photoacoustic Spectroscopy." Sensors and Actuators. B, Chemical 77, no. 3:620-624. PNNL-SA-33720. Linehan J.C., C.R. Yonker, R.S. Addleman, T. Autrey, J.T. Bays, T.E. Bitterwolf, and J.L. Daschbach. 2001. "Solvent Study of the Kinetics of Molybdenum Radical Self-Termination." Organometallics 20, no. 3:401-407. PNNL-SA-34196. Franz J.A., D.M. Camaioni, T. Autrey, J.C. Linehan, and M.S. Alnajjar. 2000. "Measurement of Select Radical Processes in Hydrocarbon Pyrolysis." Journal of Analytical and Applied Pyrolysis 54, no. 1-2:37-64. PNNL-SA-31521. Small J.R., N.S. Foster, J.E. Amonette, and T. Autrey. 2000. "Listening to Colloidal Silica Samples: Simultaneous Measurement of Absorbed and Scattered Light Using Pulsed-Laser Photoacoustics." Applied Spectroscopy 54, no. 8:1142-1150. PNNL--SA-31375. Autrey T., J.C. Linehan, L.E. Kaune, T.R. Powers, E.F. Mcmillan, C.J. Stearns, and J.A. Franz. 1999. "FeS Assisted Scission of Strong Bonds in Phenoxydiphenylmethanes. Competition between Hydrogen Atom Transfer and Free Radical Rearrangement Pathways." Energy and Fuels 13, no. 4:927-933. PNNL-SA-30761. Autrey T., N.S. Foster, and K.D. Klepzig. 1999. "Nanojoules, Nanoliters and Nanosecond Calorimetry." Journal of Photochemistry and Photobiology. A, Chemistry 125, no. 1-3:13-19. PNNL-SA-30634. Foster N.S., J.E. Amonette, and T. Autrey. 1999. "In-situ Detection of Chromate Using Photoacoustic Spectroscopy." Applied Spectroscopy 53, no. 6:735-740. PNNL-SA-30236. Foster N.S., T. Autrey, J.E. Amonette, J.R. Small, and E.W. Small. 1999. "Laser Photoacoustic Spectroscopy: A Versatile Absorption-Spectroscopic Technique." American Laboratory 31, no. 4:96S-108S. PNNL-SA-30001. Linehan J.C., C.R. Yonker, J.T. Bays, T. Autrey, T.E. Bitterwolf, and S. Gallagher. 1999. "A Kinetic Study of the Thermal Loss of Ethylene from CpNb(CO)(3)(eta(2)-C2H4) in Supercritical Fluid Solvents." Journal of the American Chemical Society 120, no. 23:5826-5827. PNNL-SA-29520. Luey J., J.G. Darab, T. Autrey, J.D. Vienna, and H.L. Wigent. 1999. Characterization of Offgas Generated During Calcination of Incinerator Ash Surrogates. PNNL-11982. Richland, WA: Pacific Northwest National Laboratory.